Good-looking and effective lighting can be as simple as 1, 2, 3. 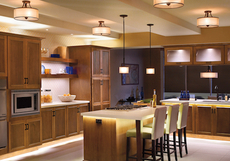 Applying three layers of light in any room of the house solves even the toughest of lighting challenges. Ambient light becomes the foundational level upon which the other layers are built. 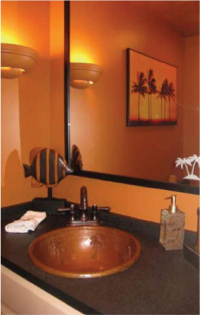 Bathroom concepts have changed dramatically over the past several years. Conveniences that were once luxuries can now fit into smaller budgets. Real estate agents will tell you that a dramatic bathroom makeover can add real value to your home when you decide to sell it, but remember to think about the people who live there now–you and your family. Don’t remodel your home for someone you have never met.